By giving only a few hours of your time not only will you make a difference in a special child or adults’ life, but you will also create a positive awareness in yourself. Just by you volunteering, you are making it possible for all ages to have fun regardless of the obstacles they may face in life. Every one deserves to play baseball so help volunteer and sign up to be a buddy, coach, or an announcer. Commitment of up to 1 hours per week for 10 weeks. 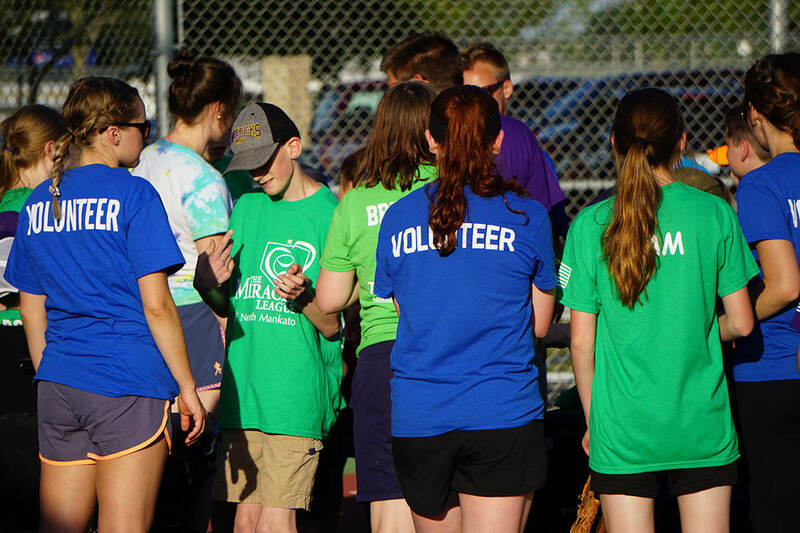 The Miracle League of North Mankato can be used for college or high school credit. Please contact us for more information. Download the Volunteer Registration Form.